Thank you for such a wonderful post! A post that helps the 97% of us runners that eventually need to tape this or that on our awesome hard working feet that carry us to far! Brandon, I actually have not yet completed a marathon since I got injured. The furthest I've run is a half. Rad Runner, I'm glad you found my post helpful! I used to do this back in High School when I played basketball. 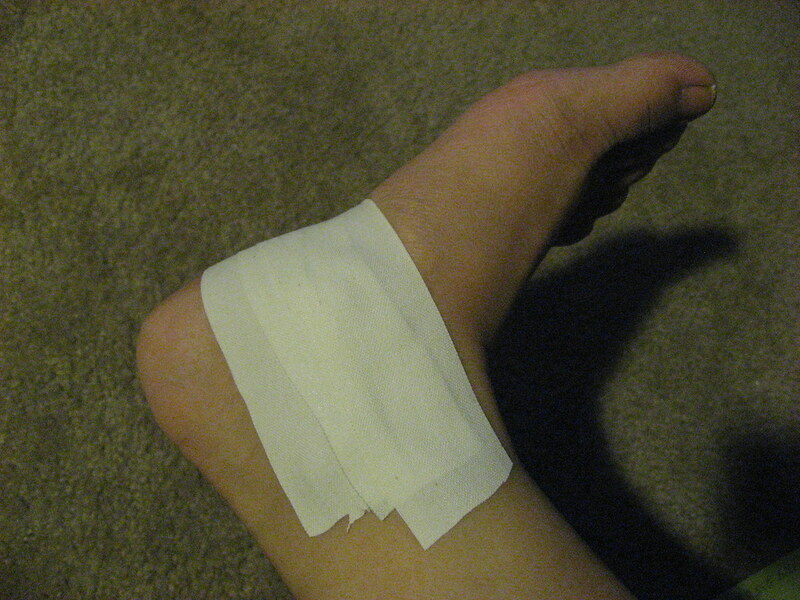 The worst part was what it did to my leg hair. Ouch! Ouch is right! 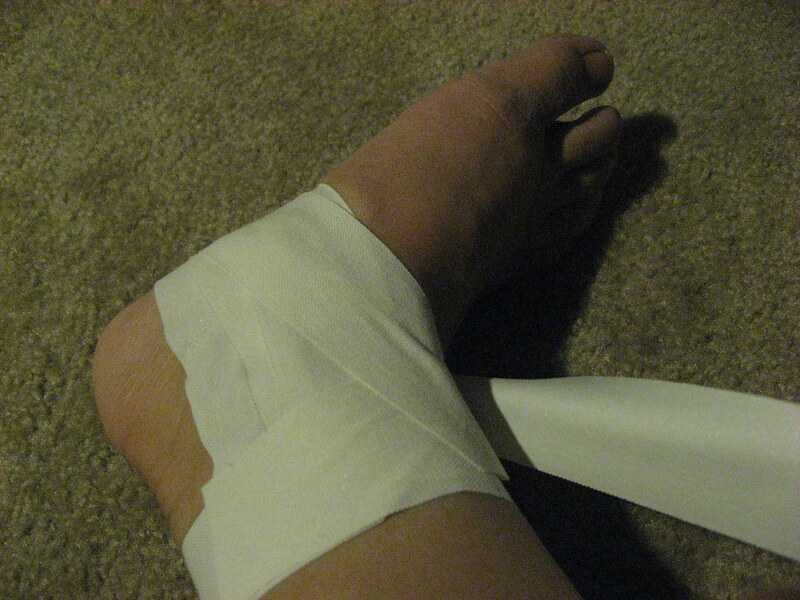 I've discovered if I wait to remove it in the shower, the warm water helps loosen up the tape. 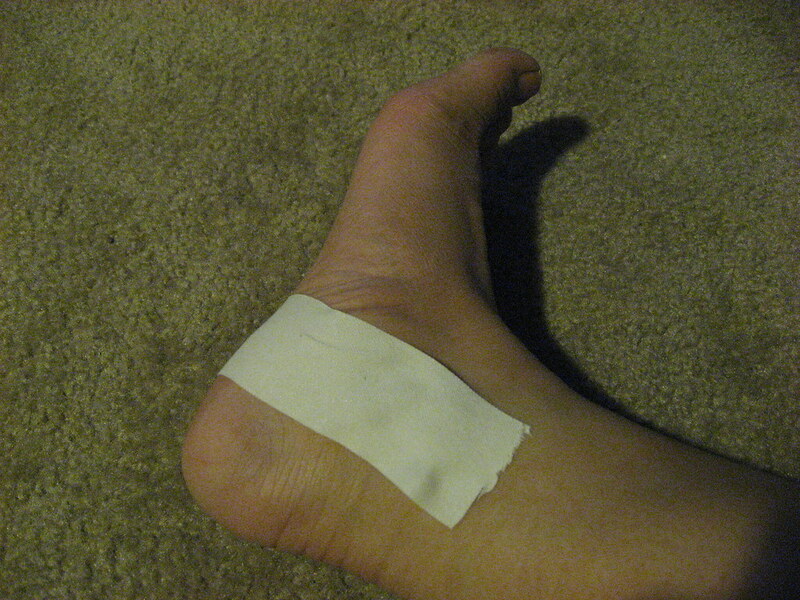 The funny thing is that I perpetually have adhesive remnants on my ankle. 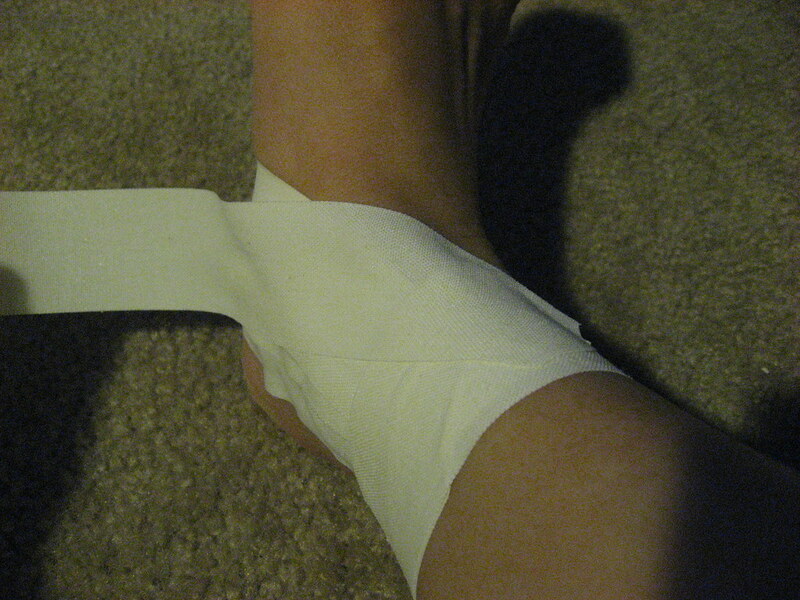 I had purchased some adhesive remover per my orthopedic surgeon's advice but I decided I'd rather have some funny looking tape marks on my ankle than exposing myself to some potentially toxic chemicals on a daily basis. Thanks for posting! 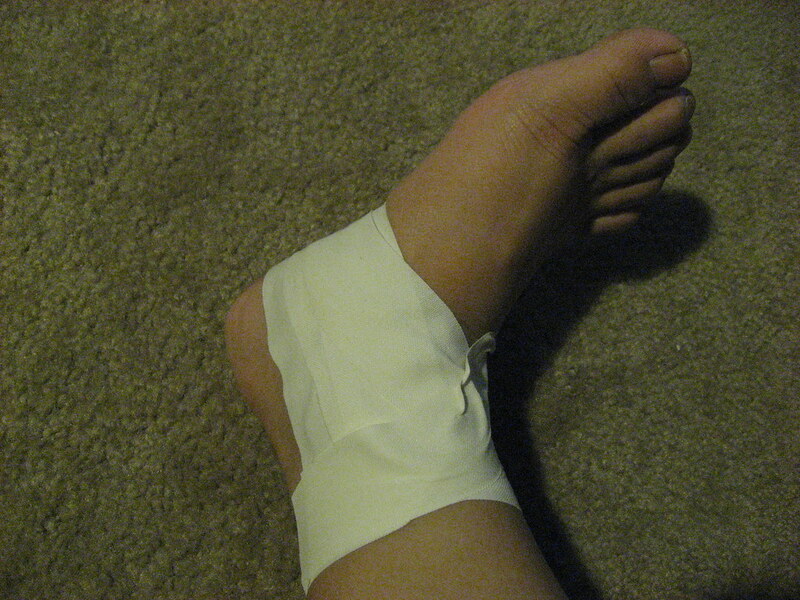 I was just diagnosed with PT tendonitis and I don't want it to completely keep me out of dance and karate classes. 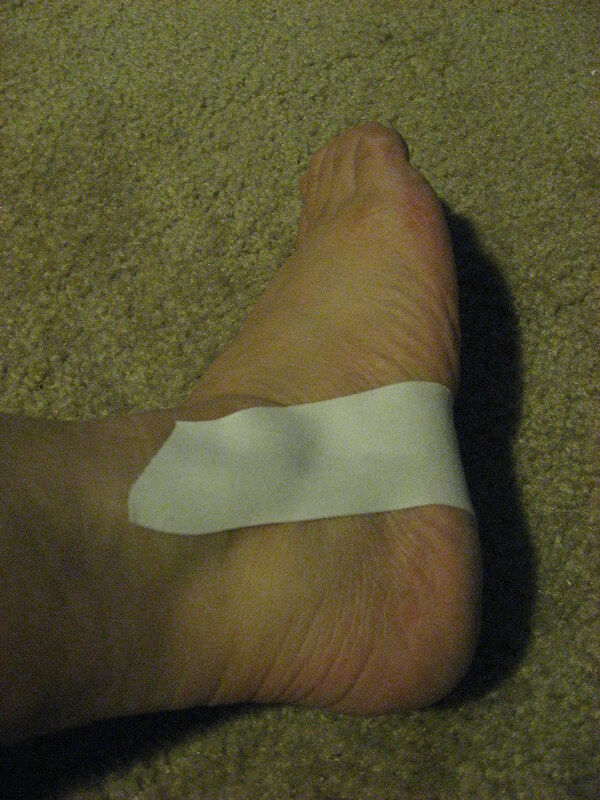 This taping looks like it'll be great support for when I have to go barefoot/wear ballet slippers for classes. This really helped me, but it is a bit uncomfortable. 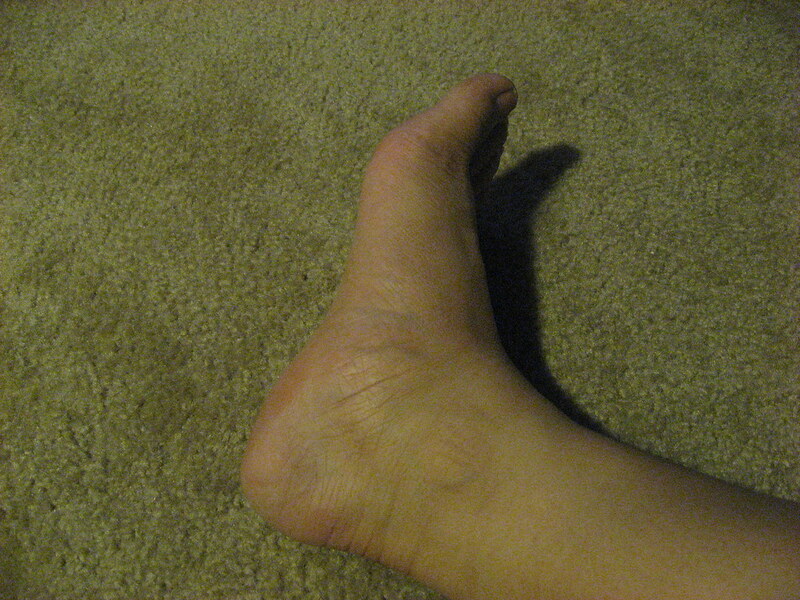 Basically, gently massage the inquiry in the opposite direction of the muscle. You may want to google this for more specific information.